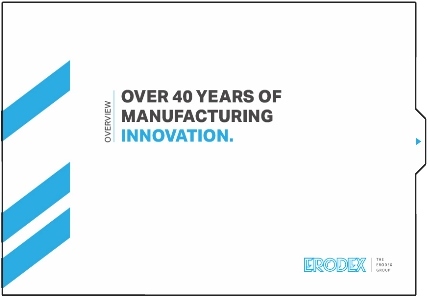 Since its foundation in 1974, Erodex has had a guiding philosophy which has endured throughout the decades. The finest raw materials, when allied to first class manufacturing techniques and the best possible service, will result in a successful business. From the very beginning the finest carbon and graphite materials have been provided by our partners, globally recognised as being at the forefront of carbon and graphite technology. Together with the world class engineering technology of Erodex’s own state-of-the-art machining facility, Erodex are a leader in so many applications. For a more detailed overview of The Erodex Group, please view our online company profile.